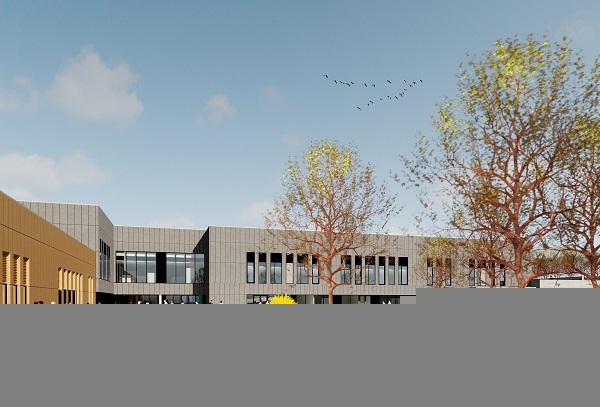 Southern Regional College (SRC) has been given the go-ahead to create a new £45 million campus in Craigavon, completing its £95 million investment plans to open three new, state-of-the-art educational facilities. SRC is already advancing the development of two campuses in Armagh and Banbridge as part of the overall investment by the Department for the Economy. The new landmark campus in Craigavon will support hundreds of new jobs during construction, create more than 350 new local apprenticeship opportunities annually and underpin the college’s status as a major employer in the area. It is investing £35 million in Armagh and £15 million in Banbridge and work is on schedule and on budget for planned completion in 2020. The campus will be located adjacent to the new £35 million Craigavon Leisure Centre, which was awarded planning consent in 2017, close to the Craigavon Civic and Conference Centre and Rushmere Shopping Centre. The new SRC Craigavon campus has been carefully designed to help transform education provision, providing skills training and courses to support local and regional job creation. The £45 million direct investment in the Craigavon area will also provide employment opportunities in a range of areas including science, manufacturing, engineering, IT, hospitality and tourism. Brian Doran, Chief Executive at Southern Regional College said, “Delivering jobs, investment and opportunities, SRC is committed to delivering a world-class centre for education, training, research, partnership and innovation and our plans for Craigavon fully reflect this. The College campus will occupy a site within an existing area zoned for development and the low-rise building design ensures that the campus comfortably meets immediate and long-term educational and capacity needs. Brian added, “This significant investment will immediately and positively impact upon our communities and will contribute to the economic prosperity and opportunity for the region. The new Craigavon campus will provide enhanced full and part-time educational and training opportunities for an even greater number of people within the area. As well as delivering an increased curriculum provision on site, a wider range of degree and postgraduate level courses will be accessed locally. Higher Level apprenticeship programmes are also in development with local businesses in a variety of areas including science, engineering, accountancy, IT, data analytics, cyber security, construction and food technology.